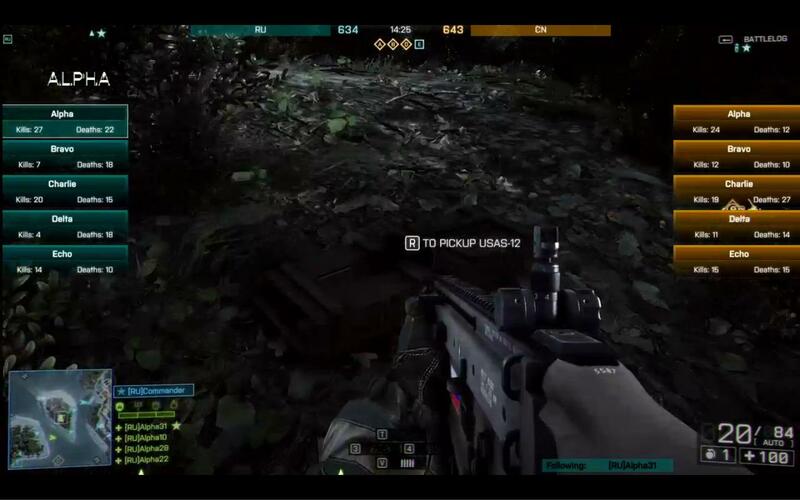 For a very brief moment, an USAS-12 shotgun was seen on the ground and able to be picked up in Battlefield 4 during Dice’s Gamescom livestream. Someone has screen-captured it and uploaded the picture onto Imgur. You can find a larger image here. For most players, the apparent return of the USAS-12 will be an underwhelming one. It was a very powerful weapon in Battlefield 3 as nearly everyone ran it with frag rounds, an explosive-type ammunition and compounded with the gun’s firing rate, it decimated anything it touched. It was utilized so much that at one point, Dice had to step in and nerf this lethal combination into the ground. I speak for every Battlefield player when I say this, I sure do hope Dice intends to keep the USAS-12 the way it is in BF3, dead and useless. Hank and Jed of Happy Hour Studios who produce and animate hilarious yet accurate portrayals of Battlefield’s multiplayer experience on YouTube, dedicated an episode of their weekly series to this deadly weapon. The video is below.